Jacques Piccard and his team paddle toward their bathyscaph submarine in the Mariana Trench, near Guam. In 1960, explorers Jacques Piccard and Don Walsh traveled to the deepest point on Earth: the Challenger Deep in the Mariana Trench. 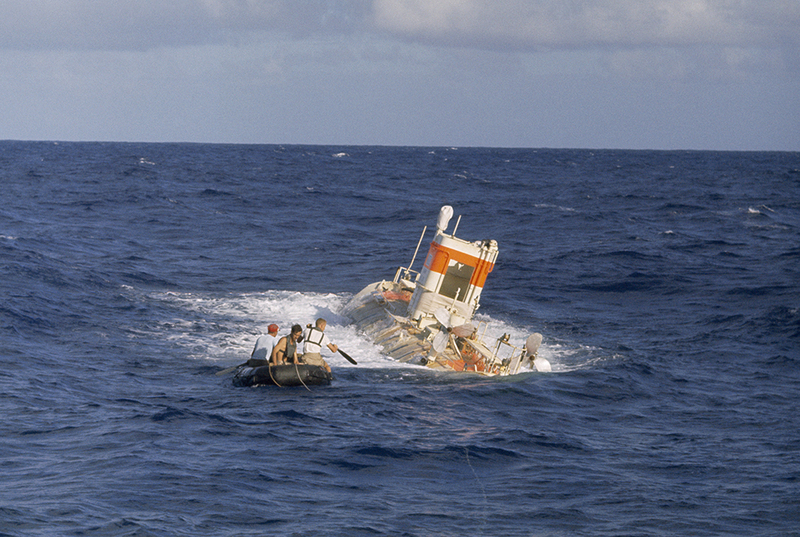 Activity: Explore this interactive GeoStory about James Cameron’s 2012 journey to the Challenger Deep—where Don Walsh was a part of his crew. Fifty years after the California Gold Rush, a similar gold rush took place in Canada’s Klondike region, where this gold was found. James Marshall’s discovery of gold in the American river in 1848 sparked a mass migration to California. Activity: Read this article about immigration and demographics in 19th-century California. 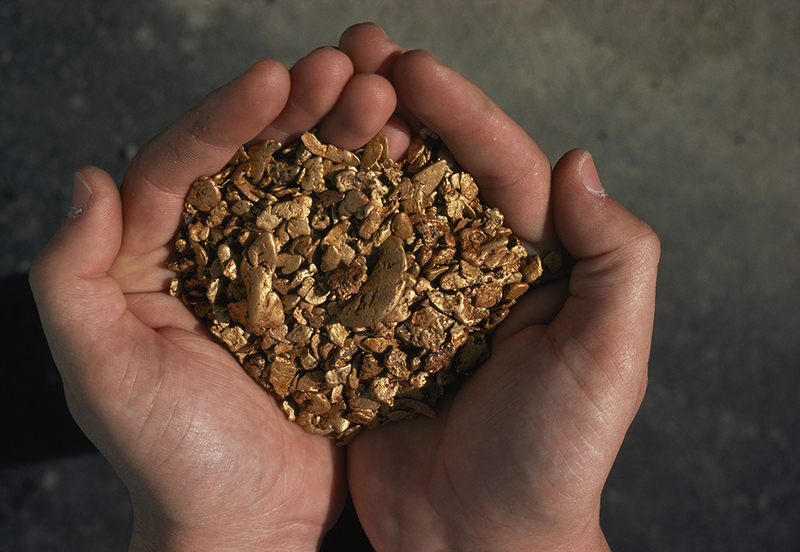 What were the long-term effects of the California Gold Rush? New technology (telegram and telegraph) made investigative journalist and traveler Nellie Bly the proto-Tweeter of the late 19th-century. 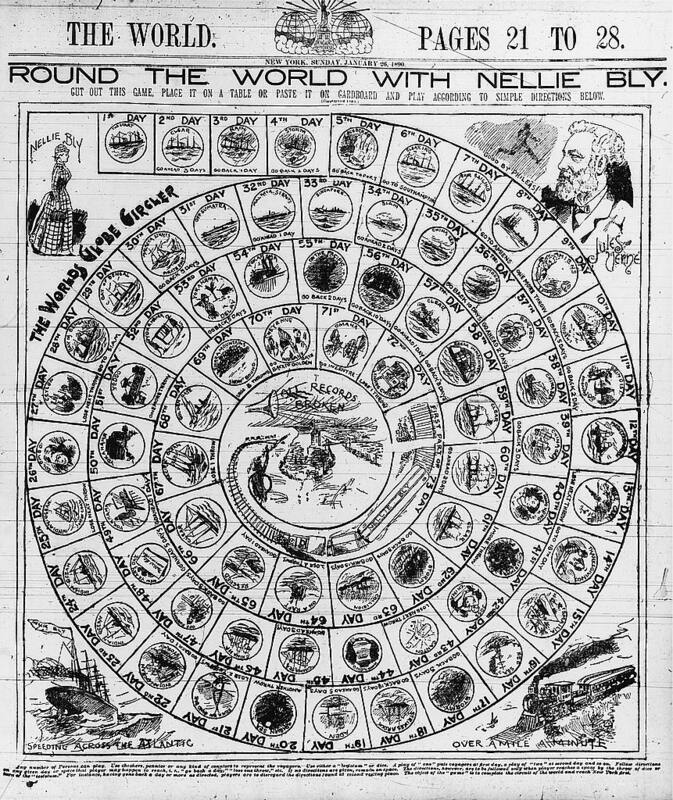 Map: Zoom in on Nellie Bly’s whirlwind, worldwide trip. Background: Learn more about this pioneering journalist with articles, images, and a biography. Activity: Use this terrific lesson plan to introduce students to primary sources, map skills, and journalism through the life and work of Nellie Bly. 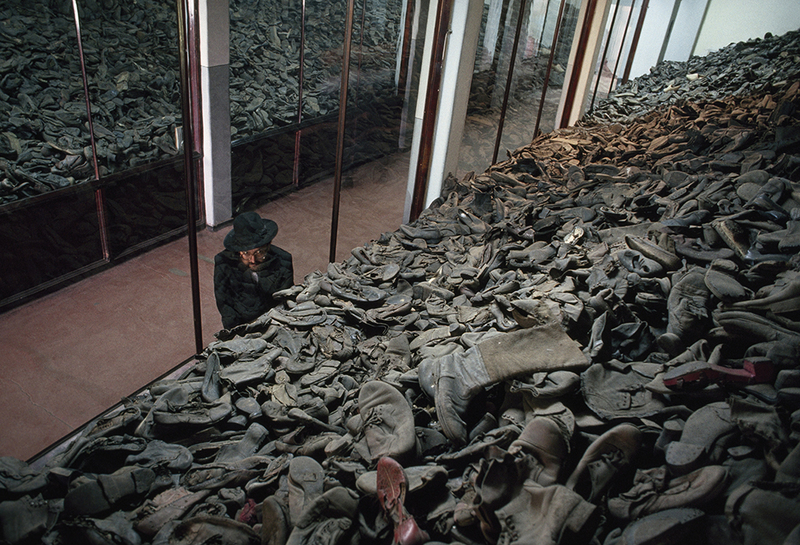 A rabbi views a display of shoes that belonged to victims at the Auschwitz concentration camp complex in Poland. The UN created this day in 2006 to honor the victims and survivors of the genocide carried out by the Nazis during the 1930s and 1940s. Activity: Listen to a Holocaust survivor share his view on “The Nature of Evil” and importance of speaking out. No hiding this mushroom cloud, the telltale sign of a nuclear explosion at the Nevada Test Site during the 1950s. 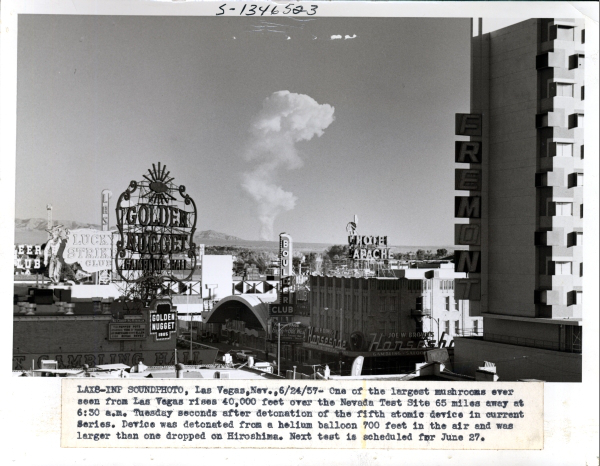 The long series of nuclear explosions at what is now the Nevada National Security Site altered the physical and cultural geography of the West. Visual: Thousands of films showing U.S. atmospheric nuclear weapons tests are freely, publicly available on YouTube—and we have a study guide to accompany them. Map: Where did the U.S. conduct atmospheric nuclear tests? Background: Where was the first nuclear weapon detonated? Activity: Operation Clean Desert in the Classroom is a science module that uses characters, Dr. Proton and Adam the Atom, to educate students about environmental cleanup of contamination caused by the historic nuclear testing at the Nevada National Security Site. Next Next post: What’s Up with the Shutdown?